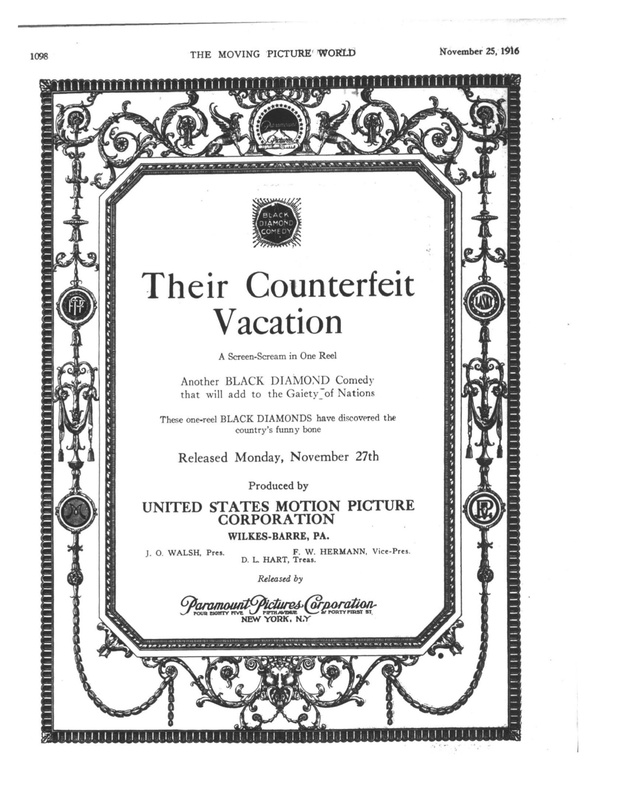 Released November 27, 1916, Their Counterfeit Vacation is a one-reel Black Diamond Comedy filmed and produced by the United States Motion Picture Corporation (USMPC) in Wilkes-Barre, Pennsylvania. The film was distributed by Paramount Pictures. An advertisement for the film appeared in the November 25, 1916 issue of The Moving Picture World. As of the writing of this article (October 22, 2012) no prints of this film are known to survive. If you have any information about the film, please contact us.